Whew... done. It only took me 2 hours but I fixed almost all of the links for the photos. My wife says she thinks that the island rock looks like Maui flexing his muscles. The tank looks great - and the flexing man is a cool add! Well it has been just over a year since I started my tank and it has been way too long since I have done an update. 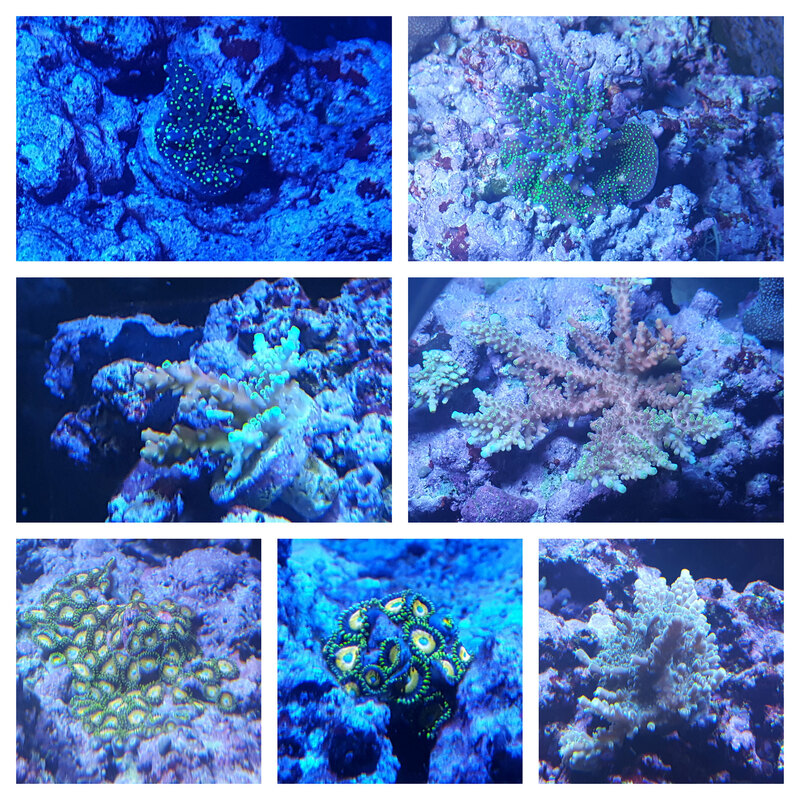 I have been through a lot including bryopsis, and ich outbreak, and a blue tang that decided he was going to go rouge and eat all of my zoanthids. Here is a picture of my tank right now. 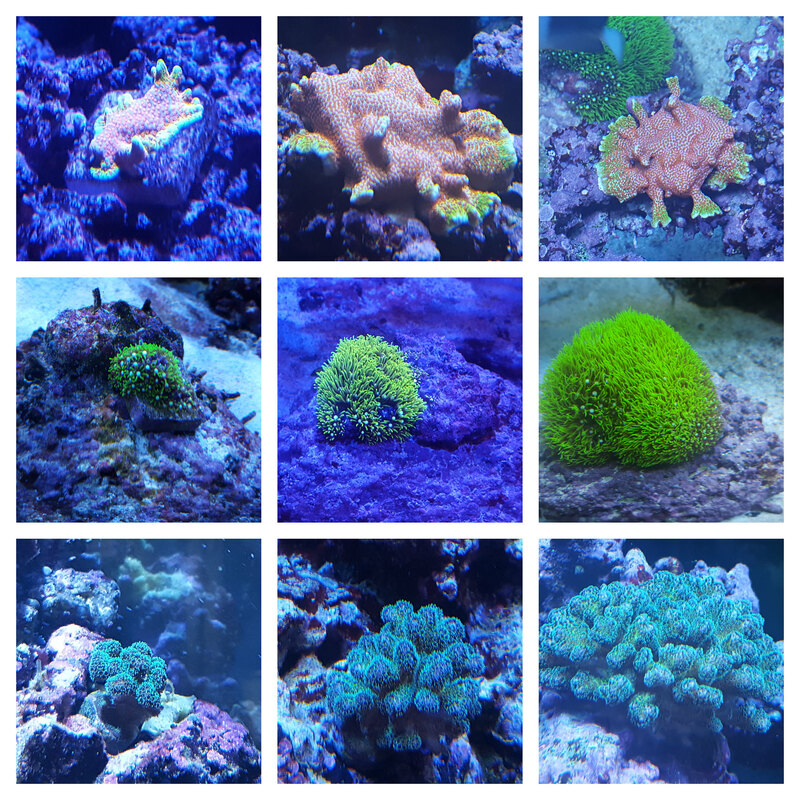 It has done really well over the last year and I am starting to see the corals start to take off. The main show piece of my tank is this bunch of anemones and a pair of Picasso clowns. that host in them. There are probably 10 or more anemones in the bunch. Some people have asked me ho I get them to stay and the middle and to be honest I don't know. The anemones do so well in my tank that I think they are spawning because I will have little ones pop up randomly all over the place. 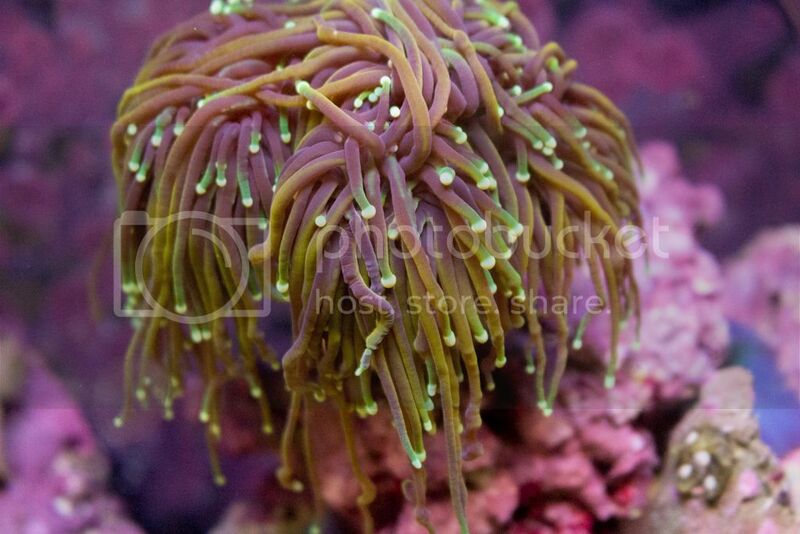 To avoid having a tank full of anemones I remove any one that does not stay in the middle. 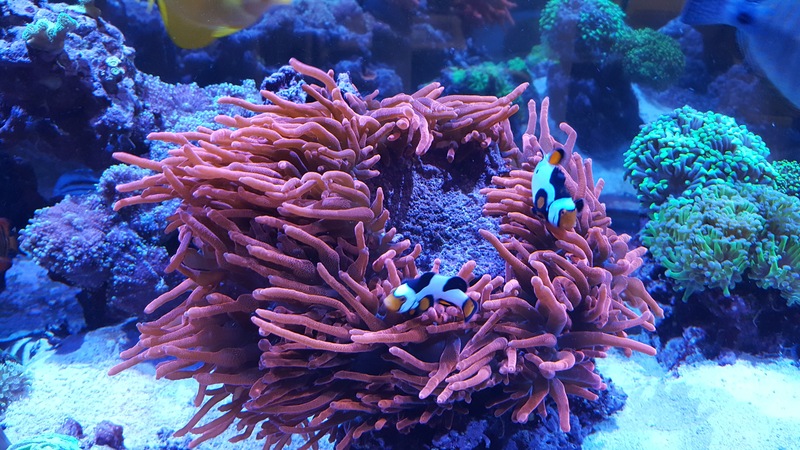 The clownfish are my favorite part of reef keeping and I am so glad that they decided to host in the anemone. 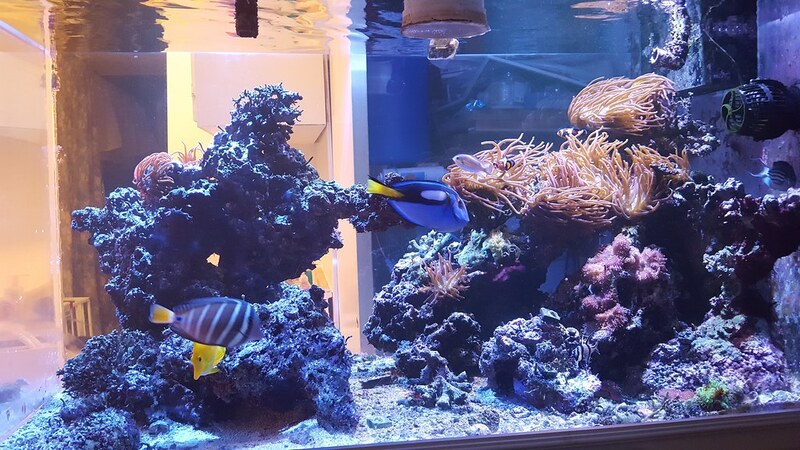 Do you have a pic or video of the whole fish room? Here are some pictures of the fish room. You will have to excuse my mess and and the poor lighting. When we moved in it was a craft/laundry room. It is now a fish/laundry room. It is about 8.5ftx12ft and so there is plenty of room for both my wife and I to get our work done. In fact, my wife and I have both done very well at not getting in each others way. 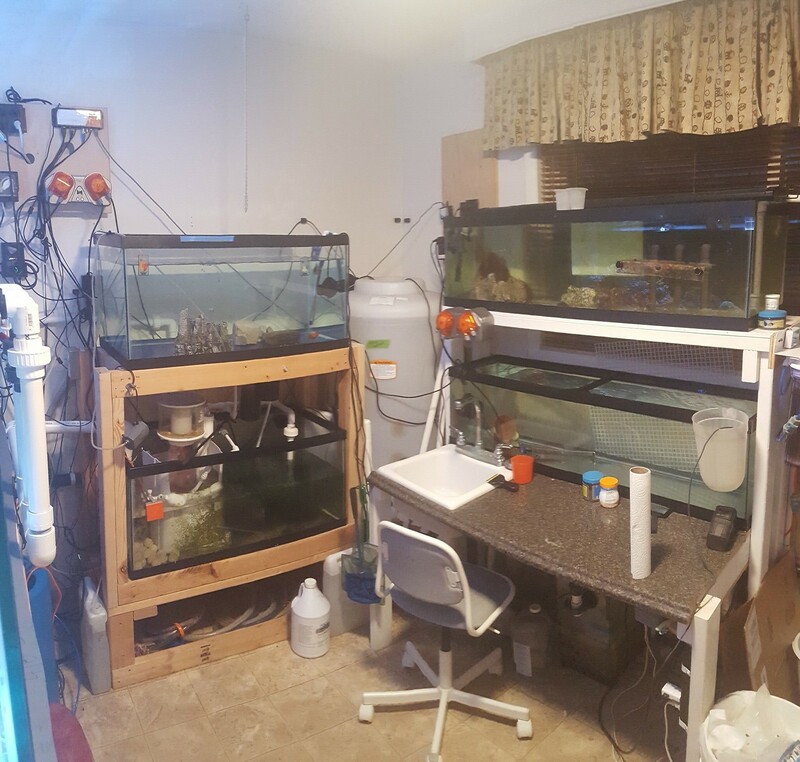 I LOVE having a fish room that is this large it is so nice to have a place where all the noisy equipment and pumps can go. I love that I have my own place to test the water and a large contained to do all my saltwater mixing. I don't have to crawl under my stand to clean the skimmer. Everything is easy to work on and access. I am not done with it yet. I would really like to work seriously on cable organization and having a cleaner overall look but that will come. New post, I have had corals in the tank for about a year now and it so fun to see some progress pics so here they are. This is not all of them but it is some of the ones that I have the best pictures of. Cool! Progress picks are always inspiring to me. Thanks for sharing! Thanks! 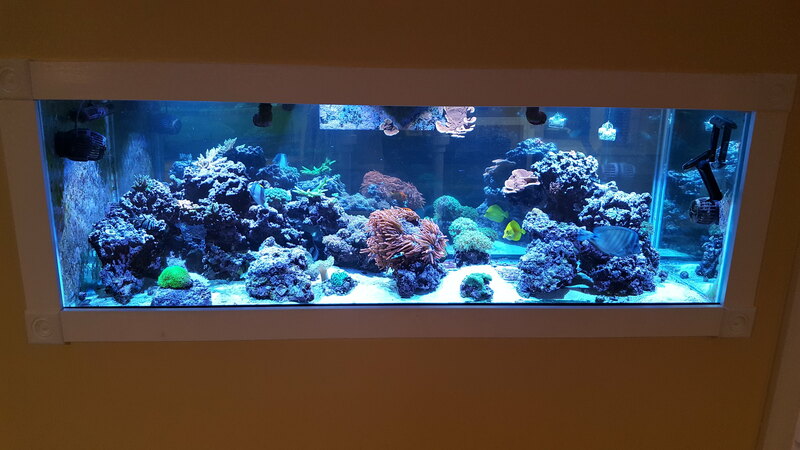 I have always loved the in wall tanks. I can keep all of my mess behind the the door. All the sounds stay in the fish room and I get an amazing piece of living art where everyone can see it.